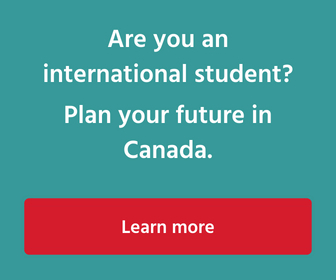 In order to study in Canada at any level, a foreign national is usually required to apply for and receive a Canadian study permit. However, there are circumstances in which a foreign student is exempt from this requirement. Individuals do not require a study permit in order to pursue a program of study for six months or less. Courses may consist of any subject(s), and may be taken on a part- or full-time basis. In order to be deemed exempt from the requirement for a study permit, the course of study should be completed within the six month period. A visa extension will not be granted for the sole purpose of completing a short-term program. Foreign nationals in Canada without a study permit who wish to enroll in an educational program must apply for a study permit from outside Canada. An exception may be made if the course is short-term in nature and can be completed within the original period of stay specified upon their entry to Canada. Citizenship and Immigration Canada recommends that foreign nationals seek a study permit for a program of six months or less if they intend to work on campus or continue their studies in Canada after completion of the initial program. Any minor child residing in Canada may study at a pre-school, primary or secondary level without a study permit. This applies to the children of temporary students or workers, as well as Canadian citizens and permanent residents. This exception does not apply to children of temporary residents who are not authorized to work or study in Canada (i.e. visitors). The dependent child of a dependent child. Members of the armed forces of a country that is a designated state under the Visiting Forces Act do not require a permit to study in Canada.